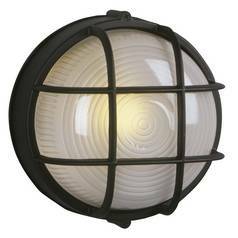 The following are detailed specifications about the Marine Oval Bulkhead Outdoor Wall Light. Those with an affinity for the sea will be drawn to this oval nautical-design light meant for outdoor use. The cast-aluminum guard, with its rich black finish, provides style points as it protects the light from the elements. 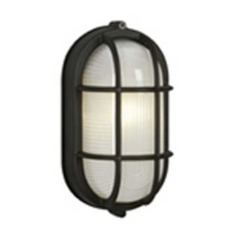 This is a rugged fixture that brings a bit of maritime flair to the exterior of a home. 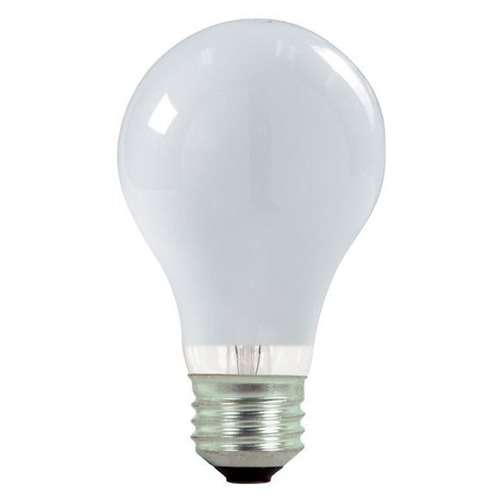 Uses one 60-watt bulb (not included). Use great on the decks and gazebo overlooking the Corpus Christi Bay in Backyard! 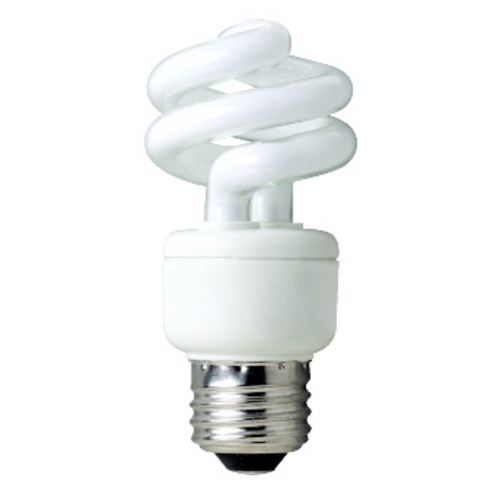 Illuminate the spiral stairs very well with other illumination fixtures. I intend to extend their use with additional purchase from Destination. These lights matched some existing lights in our backyard. We needed to add more to light our barbecue area. We were thrilled to find them, and at such a fantastic price. Walkway at dock. Perfect lighting .Looks great. 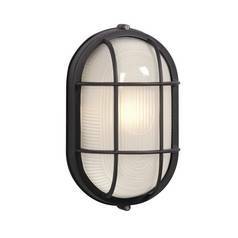 This Marine Oval Bulkhead Outdoor Wall Light is part of the Nautical Collection from Galaxy / Excel Lighting. The following items are also part of the Nautical Collection.